High impact Bumper Rail Our High Impact Bumper Rail 1″ Bump Strip and protection rails offer effective protection for surfaces against impact and collisions. It is used widely throughout retail and is also suitable for a broad range of other installations where surface protection is required, including airports, hospitals and hotels. 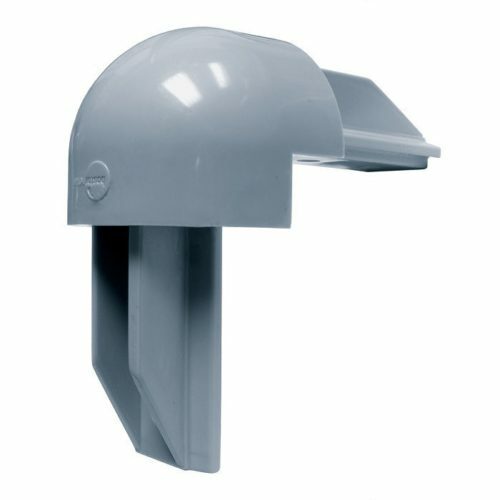 Manufactured with injection moulded stopends, our range of bump rails are durable and absorb collision from both vehicular and pedestrian traffic, and are the ideal protection solution for a multitude of environments. They absorb impact through a combination of facing rail, internal web meshing and rubber spacers, and will last for years. Introducing a wall protection system that doesn’t have to mean compromising on design. Our range of Rigid and Flexible rails combine function and flair to give optimum protection without being obtrusive. They are easily interchangeable, making this system not only designer friendly but also cost effective. It is highly configurable and simple to install with an option of nominal 25mm or 50mm width to suit requirements. The plastic backing rail is secured firmly to the wall using screws & plugs then the front rail is clipped into place. Our specialist range of bump strip products have been proven in the toughest of environments, and are trusted by our customers across various industries. They guard against damage as well as function as a versatile design component in your décor. Bump strips are available in different widths to suit your various needs. All of our protection products meet the strictest quality standards and have strong environmental credentials including high recycled content levels and 100% recyclability. You can be sure our products will stand up to your store traffic and maintain their attractiveness for years to come. We’ve also made our protection easy to install and dismantle, saving you valuable man hours and the need for specialized tools. 100% PVC-FREE moulded ends and corners. 100% Recyclable. Free of Chlorine and Bromine hazardous chemicals. Weighs ¼ less than traditional rigid bumper saving on freight costs. Pre-slotted base channel for easy installation.